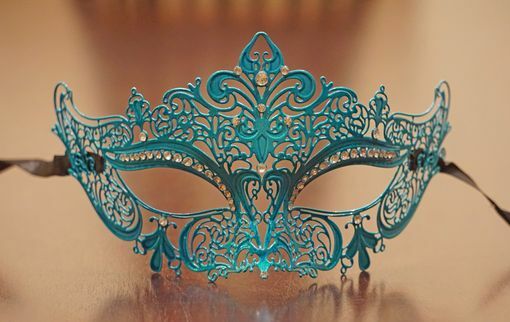 This laser cut masquerade mask is great for any masquerade ball. Mask is hand painted and has faux diamonds around the eyes. Comes with black ribbon ties. Mask color aqua.